Carol is ... well, she's Carol. The Zombocalypse didn't really change her much. She sees no need for any of those dirty, smelly, military clothes when a nice wool cardigan s good for most weather. She needs nothing she can't fit in her handbag and there's nothing about Apocalypse hair that a good set of curlers can't fix. In fact the only real change to Carol's life is she now has a little more space in her purse as she tens to keep her gun in her hand these days. 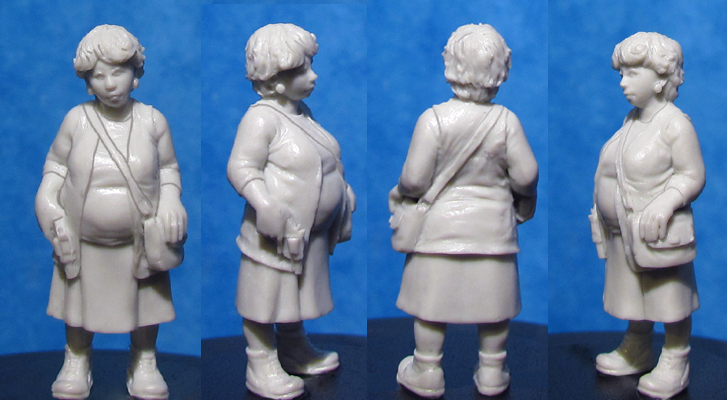 This is a Limited Edition Resin 'Master Casting' of Carol, the standard white metal version (when available) can be found below. These Master Castings are strictly limited to however many we can get out of any Master Moulds before they deteriorate. These are about as limited as anything we've made and are the closest thing to the original green as possible so hold the highest level of detail available.